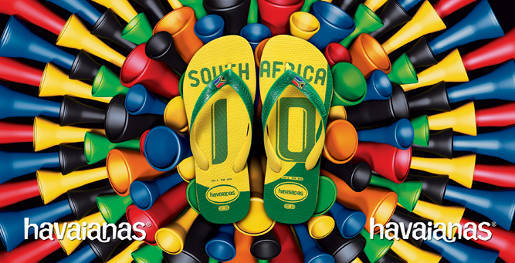 Havaianas, the Brazilian sandal brand, is being promoted with a new set of footwear made in the colours and symbols of the 32 teams competing for the top place in the Football World Cup 2010 being held in South Africa. 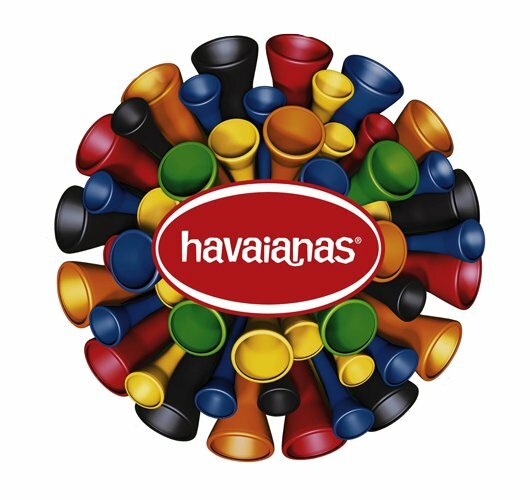 Print advertising features the “vuvuzela”, a loud plastic horn used by football fans in South Africa, Brazil and Mexico. The stadium horns, in different colours, are featured in window displays, posters, banners and mobile phone advertising. The sandals are on sale in Brazil and South Africa and will be made available in other countries whose teams are participating in the FIFA World Cup. The Vuvuzela campaign was developed at AlmapBBDO, Sao Paulo, by creative director Marcus Sulzbacher, art director Eric Benitez, illustrator Pedro Zuccolini Filho, graphic producer Marcos Souza, photographer Daishi Pais, advertiser’s supervisor Bhárbara Cavalcante with Havaianas staff Carla Schmitzberger, Rui Porto, Christina Assumpção, Giuliana Tranquilini and Isabella Sarkis.